Long campaigns are a staple of tabletop roleplaying games, but many players don't have the time to commit to these endeavors. One-Shot Wednesdays will provide adventuring hooks for stand-alone adventures that can be ran through in one or two gaming sessions. It's hard to think of the Halloween season without thinking of horror movies. A classic subsection of horror movies is the demonic possession movie. We all know the story behind films like The Exorcist; an innocent is taken over by an evil power from beyond our realm and men of faith must answer the call for aid. A demonic possession story lends itself well to a fantasy roleplaying system and can provide a nice break from killing kobolds. The players make up a group of clerics sent to investigate reports of strange activity in a remote village. The elements of this adventure can be tweaked to accommodate whatever type of clerics the players want to make up. The most important thing is that all the players create clerics who worship the same deity. They should probably be at least 4th level for spell purposes, but even lower level clerics will work with the addition of a higher level cleric NPC for spell help. The players arrive in the village to discover that strange omens have been plaguing the town. Failed crops, wolf attacks, the DM can throw whatever they want in there to demonstrate that something evil is happening. They also discover that a young person in the village have been exhibiting classic signs of demonic possession. The local priest couldn't handle this on their own so they petitioned the church for help. The players need to determine a way to exorcise the demon and save the possessed NPC. 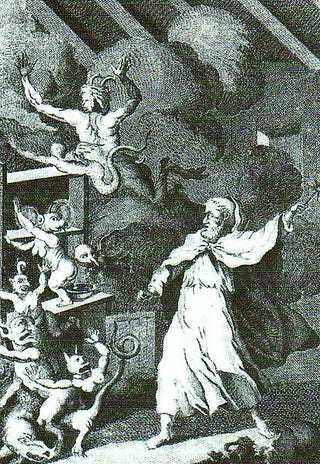 The DM should allow the players to come up with the exorcism ritual on their own, but only allow it to work if it is sufficiently complex. For instance, sprinkling some blessed water on the victim and casting Protection From Evil is not going to work. However, all the clerics having to work together to cast multiple spells and recite prayers over a long period of time would work. Any player that has a skill such as Lore can determine the exact ritual needed with a successful skill check. Once the ritual has been determined it will be up to the players to carry it out while the DM takes on the role of the demon who doesn't want to be exorcised. The demon should not only lash out at the players, but also attempt to physically harm the victim. It is important that the players do everything possible to prevent the deaths of the possessed NPCs. Success in this adventure is measured by whether or not the demons are banished and if the victims are saved. If the DM wants to up the ante for the group, they could allow the demon to jump to another victim a finite number of times right before the exorcism ritual is complete. This would force the players to track down the demon every time. They could also include multiple possessed NPCs at the same forcing the players to prioritize who they save. DMs can also expand on this premise for multiple sessions by introducing a portal through which the demons are entering the village. Players would have to track down and close the portal to properly end the demon threat.